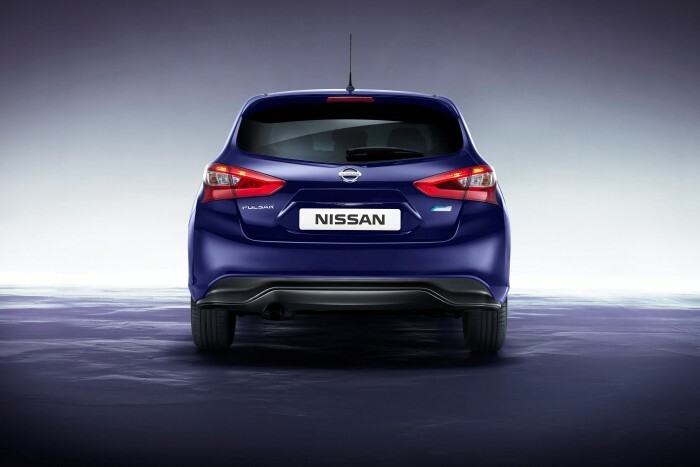 Nissan is throwing their hat into the hatchback ring in Europe with the introduction of the all new Nissan Pulsar five-door. If the Pulsar is part of a master scheme to upstage Ford, Mazda, and Honda by putting out a handsome hatch to steal attention away from their products, then we’d have to say the plan is proceeding as expected. Seriously, the Pulsar just looks like it would be a helluva lot of fun to driver, doesn’t it? The Nissan Pulsar has pretty much everyone one would expect out of a hatch: plenty of utility and room, a number of advanced technologies, and impressive performance and economy. The Pulsar has a 106-inch wheelbase—the longest in the C-segment, which creates more rear leg and shoulder room than its rivals. Nissan states that the 27.24 inches of kneeroom make the Pulsar as spacious as some D-segment vehicles, all while maintaining a compact 172.6-inch length. 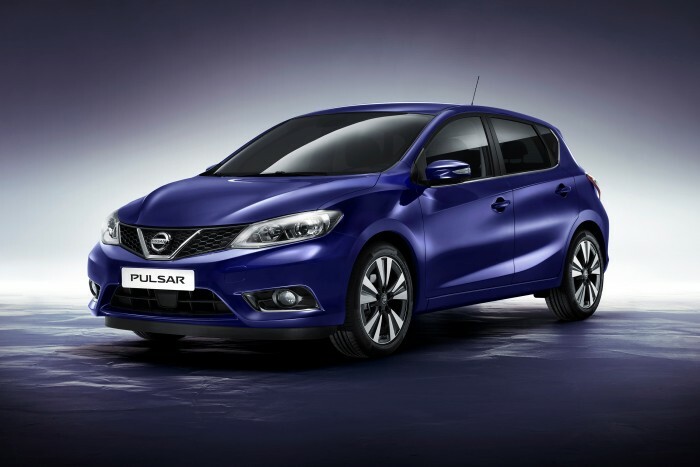 The Nissan Pulsar will come with standard features such as the second generation of NissanConnect and LED headlamps, and available features such as Forward Emergency Braking, Moving Object Detection, Lane Departure Warning, Blind Spot Warning,. Nissan may in fact be moving forward on a Pulsar NISMO. You’re welcome for the idea, folks. What’s most striking about the Nissan Pulsar, however, is just how damn good the thing looks. The Pulsar executes Nissan’s V-motion grille/boomerang light/prominent character line design language to perfection, looking every bit the Focus/Mazda3/Insight fighter it is intended to be in Europe’s super-competitive C-Segment. Just imagine how well the Pulsar would play out with younger drivers in America who swarm all over the Fiesta and the Fit. The Nissan Pulsar will come with either a 1.2-liter DIG engine (113 horsepower) or the 1.5-liter dCi (108 horsepower) right off the bat, and a 187-horsepower 1.6-liter turbo-four is being promised for early 2015. Just imagine taking the Nissan Pulsar, dropping it stateside in late 2015 with a 2.0-liter turbo four-banger and 200+ horsepower, slapping a NISMO badge on it, and letting it eat the lunch of other hot hatches. That sound you hear is people throwing money at you Nissan. Make that happen, why don’t ya?